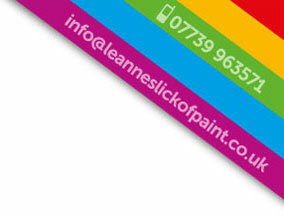 Welcome to Leanne’s Lick of Paint, a female-run painting and decorating business in Winchester. We cover both home decoration and commercial projects, always with a little bit of extra attention to quality and cleanliness of work. We work on all kinds of property including historic buildings, where our clean working practices and attention to detail are always appreciated. In addition to painting and decorating residential or commercial properties, we can advise on choice of materials and interior design. Where necessary we can bring in trusted partners in other trades to complement our painting and decorating, ensuring we can handle your complete project. If you need least disruption to your business we can schedule work to take place outside working hours or in holidays if necessary. We pride ourselves on a totally transparent and professional service so that you don’t incur any hidden costs or unnecessary complications from the initial meeting through to the final invoice. Much of our work is with repeat clients and each project is approached with great care and attention and the utmost respect for your home or property. We have a wide range of delighted clients as you can see from our testimonials. We work mainly in and around Winchester, Romsey, Chandlers Ford and Southampton. 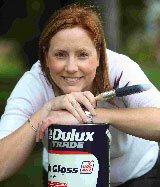 If you have a painting and decorating project please give us a call for a no-obligation quote. Thank you for all your work, and for being such a pleasure to have in our home!